Write off your insurance and save on your taxes. 3. Can Real Estate Taxes on a Rental Be Taken on Schedule A? If you own a rental house, you may be wondering about which expenses you can deduct when you file your income tax return. One of the expenses that you incur when you rent out a house to tenants is homeowner insurance. It’s important to ensure that you have adequate coverage on the rental property in case of a loss. Landlords can reduce their tax burden by claiming the homeowners insurance for their rental property as a deduction on their taxes. As a landlord, you can deduct a number of expenses you incur as the owner of a rental property on your income tax return. Deductions include mortgage interest, property taxes, depreciation on the property, maintenance and repairs, cleaning and yard work and homeowner insurance. These expenses are claimed on your return on Schedule E (Supplemental Income and Loss) tax form. As a landlord, you’ll want to take out insurance coverage to protect the structure of the rental home. You may also want coverage in case someone is injured while on the rental property. Since you’re renting out the property to make money, the insurance can also help protect you from loss of income as well. Homeowner insurance policies are generally written to cover a home you live in as your main residence. It’s not meant for a property you rent out to tenants. You’ll likely need to buy a landlord insurance policy to protect the structure of the rental home against losses such fire and smoke, wind, hail, theft and vandalism. 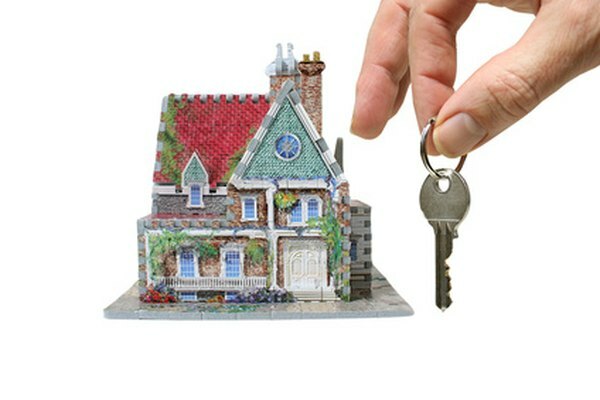 Landlord insurance is not the same as standard homeowner insurance. This type of coverage is more expensive than a homeowner policy, since the rental property is treated like a business instead of a residence. The landlord policy may also include a liability portion. If someone is injured while on the property, you are protected from being personally responsible for paying damages and legal fees from a claim. Your coverage may also give you some income protection following a loss. If your rental house is damaged and your tenant has to move out while repairs are being made, your insurer may compensate you for the lost rental income. At tax time, you would deduct your insurance on a rental house on Schedule E (Supplemental Income and Loss). When completing the form, you’ll need to provide details about how much rent you collected and whether you used the property personally during the year. Fill in the amount you paid for the insurance on the rental house in the space indicated on the form. Add it to your other expenses, and the total becomes your deductibles from your rental income for the year. You will use it to calculate whether you have an overall profit or a loss on your Form 1040. Derland G. Bahr CPA: What tax deductions for rental property can I take? Prgram Prevatte Insurance: What Does Homeowners Insurance Cover? Can Homeowners Insurance Be Claimed on Taxes?